Jet pumps have been widely used since 1980 in wells survey and development practice. 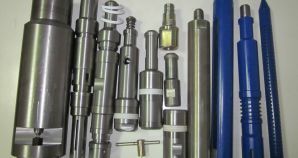 All these production operations could be more effective while applying insert jet pumps. 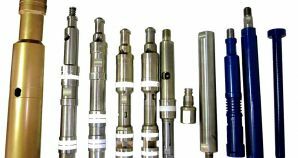 In one work cycle of well development insert jet pumps allow to make all necessary research, deep drainage and chemical impact on the reservoir. The proposed technology is implemented as follows. Jet pump body with packer is dropped to target depth of the well with help of the tubing. The packer is set above the test reservoir. By means of pump units arranged on the surface the working fluid at a predetermined pressure is piped to a jet pump. During jet pump operating hydrostatic pressure may be reduced almost to zero. On completion of the working fluid piping to the jet pump hydrostatic pressure recovers. Jet pumps make the creation of the predetermined drawdown possible, control its value and duration, reiterate the cycles of depression and repression on the reservoir. Without further tubing descent and ascent at any stage of work special tool and accessories included in the scope of the equipment to be supplied allow intensifying the process of wells development by chemical injection into the reservoir and reaction product disposal, and controlling by instruments the nature of the hydrodynamic impact on the reservoir. 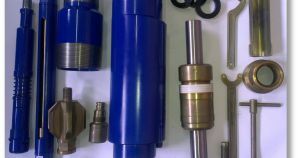 Moreover, the insert jet pump can be hoisted out from the borehole by means of wireline technique or washovering. In the latter case, insert jet pump is equipped with a special rubber collar. This technology, as opposed to the compressor method of well development, is absolutely safe. The success rate of the work carried out with this equipment is equal to 95-100%. As a result of its implementation wells survey and development terms reduce in two and more times, their productivity increases by 30-100% and their well injection capacity - in 1.5-3 times. Overall dimensions – no more than 118х700 mm. Overall dimensions – no more than 128х600 mm. Overall dimensions – no more than 144х500 mm. Body’s drift diameter – 38 mm. Overall dimensions – 144х500 mm.